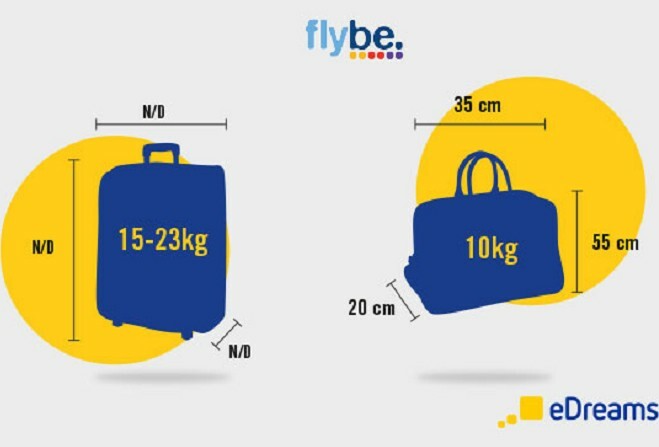 Flybe is reinforcing baggage restrictions which came into force in 2016. The operator is reminding its passengers not to bring hang luggage which exceeds the maximum size permitted. One standard bag measuring no more than 55 x 35 x 20cm, including wheels and handles. And one small personal item such as a handbag, laptop bag or briefcase that can fit under the seat in front. The combined weight of both bags must not exceed 10kgs. Those not in compliance with the regulations will have their bags rejected or put in the hold for a fee of £50.